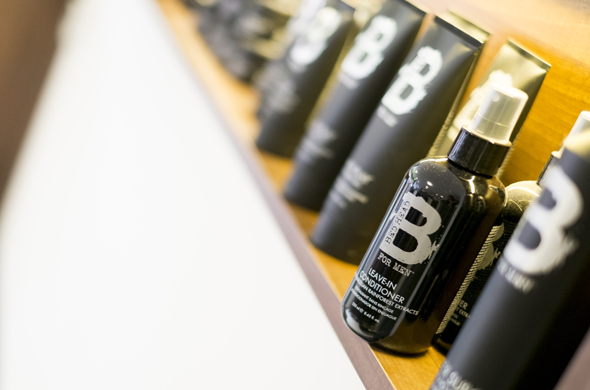 Long Ashton Barbering Co. is a contemporary gent’s salon. Situated around the outskirts of Bristol in the heart of Long Ashton, the salon provides an inviting feel and is open to all ages. 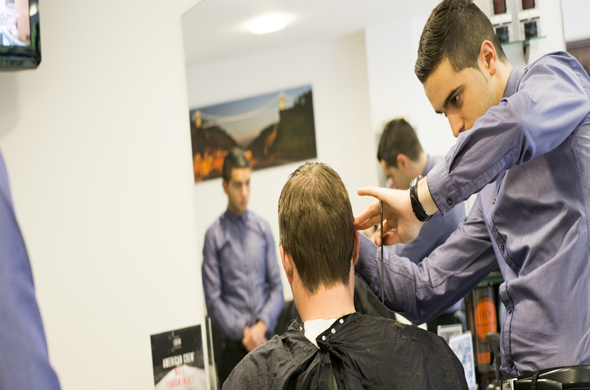 Salon owner Davide is passionate about mens’ grooming and is able to create the most complex up-to-date styles whilst also providing the best in classic barbering. No appointments are necessary and there’s always the latest newspapers, magazines, free wifi and background music to make waiting a pleasant experience. 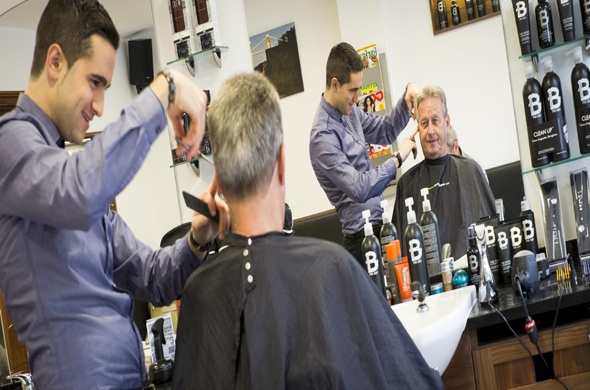 The team pride themselves on producing top haircuts to satisfy their clientele. Davide has over 11 years experience in barbering. 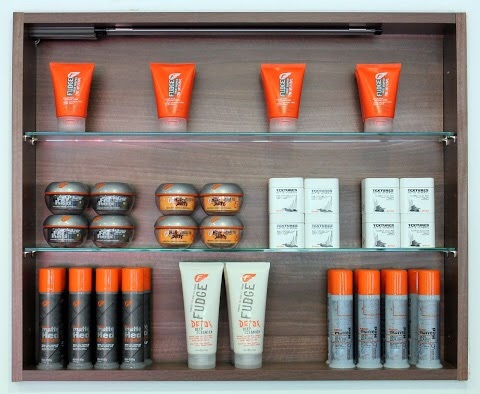 He set up Long Ashton Barbering Co. in November 2011. Passionate about his work, Davide decided to set up his own business and do things his own way. Early signs have been fantastic and with the business growing, so does the salon’s reputation. Click to See inside the salon! Creative cuts – Whether you’re after something a little funky and fresh or just a basic trim, we can provide any style to suit your needs. Beard trims are also available. Hot towel shaves – Sit back, relax and enjoy a hot towel shave with us! We use hot towels soaked in tea tree oil, then apply soap and give you the closest shave with our cut-throat razor! A fantastic and traditional pampering treat! Student/OAP discount – We offer a Student discount throughout the week and OAP rates apply from Monday to Thursday. 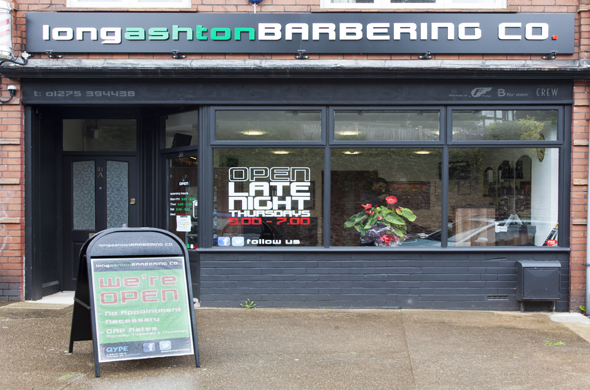 Late night Thursdays – 9am till 7pm – Looking to avoid a busy Saturday at the barbers? Free up your weekend, relax and enjoy a chilled out late night cut, no appointment necessary! 6 days a week – We offer a walk in service with no appointment necessary. We’re open six days a week with approachable hours to suit everyone’s requirements. 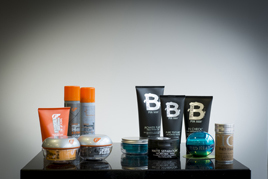 Tigi, American Crew & Fudge stockist – We use the best products in men’s groooming – TIGI B For Men, American Crew & Fudge. We stock a wide range of these products. A friendly atmosphere and tasteful, modern decor. Great haircuts, reasonable prices. It’s very convenient to drop in without needing an appointment and I’ve never had to wait long. Excellent cut again and again, great location, always parking available, great atmosphere and chat with Davide, well priced, modern and clean barber shop with ample entertainment whilst you wait (never had to wait too long). Would recommend to anyone in the surrounding areas, I drive past four or five other barber shops nearer to my house to use Davide. Keep up the good work! Absolutley fantastic!!! Dav is a very pleasant and capable barber, who always greets every customer with a smile and a hello as they walk through the door. The shop looks great inside and theres always todays papers and magazines there to entertain your short wait. The prices are excellent and so are the haircuts, coupled with Dav’s ability to make you feel so welcome you leave feeling a much better you. Dav has been my barber since he was 16, many years later naturally I followed to where he opened his business. Nice atmosphere, nicely finished shop, friendly staff, a young talented informative individual who I know will keep my hair in tip top condition, keep up the good work. Definitely recommended!! Copyright ©2012 Davide Lattuca. All Rights Reserved.